A drunk driving arrest can leave you feeling hopeless, but I can reassure you that I will fight to get you the best possible outcome. Don’t give up and assume there is nothing you can do. A DWI conviction could cost you a lot: fines, potential jail time, huge increases in your car insurance rates, suspension of your driver’s license, or even your job if you have a professional license or work in certain industries. But if we fight, it could cost you a lot less. We have extensive experience helping clients in both criminal DWI/DUI accident cases and driver’s license suspension hearings. With my 30 years of experience as a criminal trial lawyer, I have dedicated my life to defending people in the New Orleans metro area who face the serious – often harsh – consequences of a DWI arrest. Whether you are a college student, a public official, a tourist or a resident of Louisiana, no one deserves a life altering court sentence for making a single mistake. I understand that and I will work hard to protect your rights and get you results. Call 504-368-8440 or email my law firm now for an initial consultation about your criminal defense. When you are arrested for a DWI in Louisiana, you only have 30 days to act before your driver’s license is automatically suspended. La. R.S. 32:667A(2). I will help you request an administrative hearing so you can keep your driving privileges until the criminal DWI proceedings. Without a hearing, the amount of time that your license could be suspended depends on your blood alcohol content (BAC) at the time of the arrest. The higher you are over the BAC limit, the longer your license could be suspended. The DWI laws always seem to be changing in Louisiana, but I am always familiar with the latest versions. 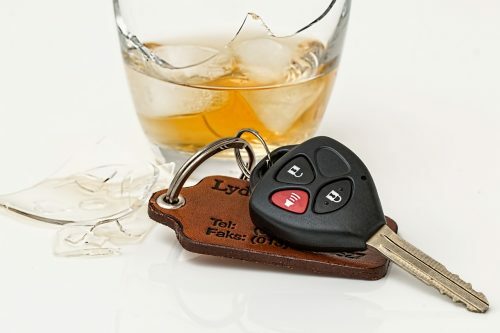 The penalties for DWI seem to be increasing with every change to the law, so it is important to find an experienced attorney who can beat the charge or at least minimize the impact of a DWI conviction. Let my decades of DWI/DUI experience create the solid defense you need. Call 504-368-8440 or simply contact us online to schedule your initial consultation with our Louisiana criminal defense lawyer. We accept Visa and MasterCard for the convenience of our clients.